Whether you’re an avid gamer or just someone looking to connect multiple wired devices at home or at the office, you need the best Ethernet switch. But which one is right for you? Perhaps you only need a few more ports to plug in devices. If you’re experienced in building networks, there might be other additional features you should look for. In this article, we’re going to show you which Ethernet switches you should focus on so you can build the home or office network of your dreams. The NETGEAR GS1088-Port Gigabit Ethernet Unmanaged Switch is the best Ethernet switch for the unpretentious network builder who just wants to split a single connection between various devices. Its internet splitter provides connectivity to your modem or gaming router, allowing for additional wired connections. Be it an extra laptop, a printer, or your gaming console; this Ethernet switch can meet all your needs. You’ll undoubtedly like the eight switched ports that provide bandwidth for your entire home or office, not to mention the ease of use. This switch impresses with its Plug and Play set up that requires no software or configuration. A metal case and small footprint make it easy to install on a desktop. We also liked its fanless operation that is truly quiet. Packing all you could wish from a best in class pick and coming with a lifetime warranty, this switch is no doubt one of your best choices. Port LEDs keep you informed of power status, link speed, and link activities. Auto-Uplink function adjusts for crossover or straight-through cables. Ethernet switch supports jumbo frames up to 9KB. The switch doesn’t measure the power drawn by each PoE device. 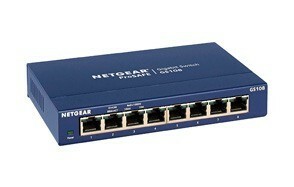 The biggest brother of our favorite GS108 above, the NETGEAR GS308 is another 8-port switch ideal for your home network. 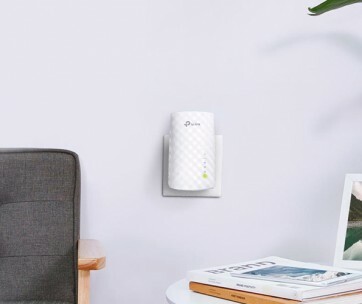 It is designed to connect automatically to any modem or router through any port, ensuring peace of mind even to the less experienced network builder. Perhaps the best feature of this switch is the auto-negotiation function that provides an automatic connection at the highest speed between the switch and an end device, while the no block switching architecture ensures maximum throughput at wire speed. Just like GS108, the GS308 model boasts a Plug and Play set up with no software or configuration needed. It also incorporates an internet splitter that allows creating additional wired connections. Delivering up to 16GB of non-blocking switching and incorporating energy-efficient technology, this switch is a great alternative if you need more power. This makes a perfect electronic gift for your loved ones. High data transfer rate of up to 1,000 MB per second. Quiet fanless operation and compact footprint. Auto-MDI/MDIX functions eliminate the need for crossover cables. Super bright LEDs might disturb you in dim light. The switch seems a bit cheap, but it’s quite sturdy overall. 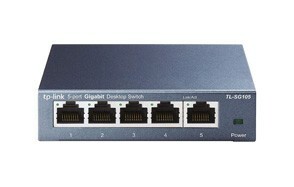 The TP-Link TL-SG105 is perhaps the best network switch to consider if you need only a few ports. This one has five and boasts a quick and easy Plug and Play setup that requires no software or configuration. With a desktop and wall-mounting design, you’ll also be able to find the most suitable installation arrangement. This Ethernet splitter ensures router or modem connectivity and incorporates auto-negotiation RJ45 ports developed to expand the network capacity. Moreover, the switch provides reliable data transfer and is perfect for gamers. Another nice feature is the traffic optimization that enables smooth latency-sensitive traffic including video and voice. Perfect to install in your home office, living room, or even in the bedroom, this Ethernet switch offers excellent value for money. 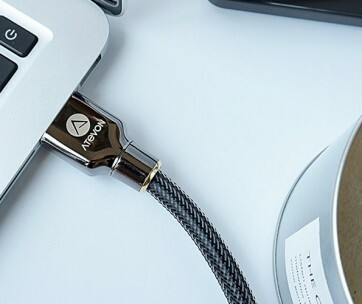 Make sure you also check our guide to the best HDMI cables for more great products like this. Network monitoring allows users to observe traffic behavior. Traffic prioritization and enhanced QoS. Harder to configure than expected. The switch IP can’t be restricted or turned off. The D-Link 8-Port Gigabit Switch DGS-1008G is a perfect gift for gamers and anyone else who needs blazing Gigabit speed. It is designed to boost network performance and impresses users with a sleek design and unrivaled performance. This LAN switch boasts eight ports and will unlikely let you down when running bandwidth-demanding applications. Like the other switches featured above, the D-Link DGS-1008G is a Plug and Play device that requires no software or configuration. Thanks to the hassle-free setup, this unit is great for beginners, and you can easily connect multiple computers to share files across your home or office network. Perfect for gamers, this switch can create the perfect gaming environment for multiple users and will never let you down due to poor performance or low speed. Excellent switching capacity of 16 GB per second. QoS support for smooth online gaming and clear VoIP calls. Green Ethernet technology enhances energy savings. Supports Jumbo frames up to 9KB. This gigabit switch doesn’t have an outstanding lifespan. Gamers looking for a reliable network switch able to provide instant large file transfers could be satisfied by the TP-Link TL-SG1016. With a switching capacity of 32Gbps and sixteen Gigabit ports, this apparatus is up to anything the network might throw at it. Constructed with green technology in mind, the TL-SG1016 needs little power to expand your network capacity. It also adjusts its power consumption automatically according to your link status, reducing your energy consumption and carbon footprint. Installing the switch is a breeze thanks to the Plug and Play architecture. Furthermore, the auto MDI/MDIX eliminates the need for crossover cables. Intelligently adjusting for compatibility and maximum performance, this switch brings all you could wish from a best in class product. Be sure to also check out our list of the best smart plugs for more great items like this. 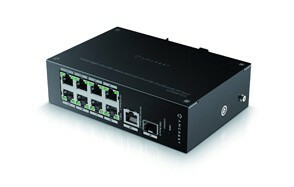 The high capacity switch is ideal for home and office networks. Diagnostic LED indicators for network monitoring. Forwards data at full wire-speed thanks to non-blocking switch architecture. Plug and Play design simplify installation. An excellent choice for most users, the Linksys SE3008 is an 8-port switch with an attractive all-metal construction that will surely look great on your desktop or wall. Thanks to the no blocking architecture, the switch guarantees fast data transfer. The QoS feature prioritizes audio and video applications for smoother streaming, while the full-duplex flow control prevents port congestion. Ideal for home or office networks, the Linksys SE3008 also incorporates advanced power saving features that detect the unused ports and adjust the energy consumption accordingly. If you like the product’s features but need fewer or more ports, also know the SE3008 comes in a 5-port, 16-port, and 24-port variant. Also makes a perfect gift for coworkers. Desktop or wall-mounting hardware included. Quick plug-in installation requires no configuration. Clean front designed gives basic connection information. Mounting hardware could be missing from some packages. If you’re in the market for the best Ethernet switch for your office, have a look at the Linksys Business LGS105. This unmanaged switch promises high-end performance and offers five auto-sensing ports with connection speeds of up to 1,000Mbps. It’s perfect for expanding your small business network while maintaining the transfer speed even when sending large files. Easy to install thanks to the Plug and Play design, the LGS105 is also able to optimize speed for each connected device. If you need more than five ports, the switch also comes in 8-port, 16-port, and 24-port versions. Our handy guide to the best WiFi extenders features more great products like this. Business-grade switch ideal for both home and office. Auto-sensing ports and QoS traffic prioritization. Audio and video streaming quality could be improved. Overall, the design looks rather cheap. The EasySmart DGS-1100-05 is another affordable solution for small businesses and homeowners looking to expand their network. This device incorporates essential L2 switching features including Quality of Service and VLAN. A simple and intuitive management interface makes this switch hub ideal even for those who’re not really experts in building networks. Thanks to its energy-efficient compliance, you can also have peace of mind regarding your electricity consumption. Quiet operation and lifetime warranty are two other feature that may appeal to small business owners and not only. The only downside is that your mounting options are rather limited. This switch has a desktop design and is not suitable to wall- or rack-mount. Find more great products like this by checking out our guide to the best surge protectors. Managed switch with intuitive management GUI. It may tend to reset to the default configuration. The user guide might need some improvements. The Amcrest Gigabit Uplink AGPS9E8P-AT-96 is a 9-port POE switch perfect for gamers, business owners, and home users in general. It is unmanaged and gives you the ability to expand your network for up to eight POE devices. This switch is perfect for connecting IP cameras, gaming consoles, smart TVs and computers. Thanks to its Plug and Play design, you won’t have to worry about the configuration, while the compact desktop size allows you to place the switch even in a restricted space. LED activity indicator lights allow you to monitor your network status and see which devices are active. At the same time, the SFP optical fiber uplink ensures that transfer speed is maintained in all circumstances. Packing useful features and boasting a long-lasting construction, this power over Ethernet switch is undoubtedly a great option. Don’t forget to also check our guide to the best USB flash drives. Excellent performance when used for IP cameras. Easy setup with no configuration required. Withstands high temperature operating environments. Building a wired network could turn into a total fiasco unless you have a reliable Ethernet switch. Picking the best is often a hassle, that’s why we focused on a few objective criteria when deciding which Ethernet switches to include in this guide. Here’s how we picked. Home/office suitability – Many of those who need a wired network are either gamers, homeowners or businesspeople who need an office network. We tried to address all these consumer categories and included on our list only Ethernet switches able to satisfy all users. The majority of these switches feature an easy Plug and Play configuration that allows both experts and beginners to create a home or office network without hassle. Build quality – Most home users tend to place their switch either on the desktop or mount it on a wall in a visible place. More often than not, a quality build is more aesthetically appealing than a cheaper build, that’s why we only selected those models that inspired robustness. Some of the switches mentioned in this article boast sturdy metal cases. Those made of plastic transmitted us an overall quality feel. Number of ports – We know different users may have different needs. Whether you’re looking after a small Ethernet switch with up to five ports or a larger unit with eight ports or over, you can find the right model for you in the list above. Consumer Reviews – The easiest way to find the true value of a product is by analyzing consumer reviews. All switches that made it to our list have been praised for their performance, reliability, and durability. Users have also appreciated the quality build of these switches alongside their down-to-earth prices. Value for money – It is hard to decide which is the value of a switch based on its price alone. For this reason, we aimed to include only those products that bring real value for money. From the quality of the construction to versatility, the switches above are really worth the investment. If you’ve ever run out of Ethernet ports on your router, perhaps you know that feeling of frustration that comes with it. Or maybe you want wired connections for all the devices in your home entertainment center, but don’t want to string multiple cables from the living room to wherever you happen to have your router. An Ethernet switch is often the best way to extend your network and picking the best for your needs shouldn’t be too tricky. However, there are a few concepts you should understand,so you don’t buy the wrong switch or overspend needlessly. Number Of Ports - The most important thing to figure out is how many ports you need. Think of how many devices you have to connect to your network. If it’s just a handful of them, you could easily get away with a five-port switch, which is perfect for wiring four devices plus connecting your switch to the router. An eight-port switch is typically preferred by gamers who want to connect more than one computer – plus gaming consoles and other devices –to the network. Unless you’re planning to use the Ethernet switch as the primary hub for all your devices, odds are you won’t need a 16-port or 24-port switch. However, such a device could be needed if you’re building an office network. We found that most people prefer the eight-port switches in terms of both needs and budgets. Speed - Depending on your needs, you can choose between two types of switches, those with Fast Ethernet and those with Gigabit Ethernet. We’re huge fans of the latter, as most routers come with Gigabit Ethernet ports anyway and it’s a pity to hamstring yourself by pairing it with a slower switch. In broad terms, Gigabit is about ten times faster than Fast Ethernet. You may believe slower speed means lower price. Even if this is technically true, you might not save enough to justify a poorer choice. However, you should also consider the ISP plan you’re paying for. If your internet provider only gives you 50Mbps downloads, it’s unlikely you’ll notice any speed difference between a Fast Ethernet and a Gigabit Ethernet device. You’ll still be able to stream music and 4K videos with Fast Ethernet, and you could save some coffee bucks. However, if you’re on a fast fiber network, there is a huge difference between the two types of switches, and you could use the ten times faster download velocity. Quality of Service - Quality of Service – or QoS – is another important feature you should consider. It lets you manipulate traffic so that your switch can forward it in a manner consistent with the behavior required by the application generating the traffic. Thanks to this feature, your network will be able to differentiate traffic and prioritize it. This feature is extremely important if you want to stream music or video. A device without QoS will deliver data in a first-come-first-served fashion without prioritizing time-sensitive data packages. In other words, the quality of voice or video services could be affected. However, if you’re a subscriber of such a service, you might demand acceptable levels of quality each time you want to use those services. And that’s where QoS steps in. This feature is able to prioritize traffic among a bunch of other technical things. In simple words, QoS is as important to your network as the waiting place is to the McDonald’s Drive-Thru. If someone ordered $50 of stuff, they can sit and wait for their order to be ready; those who only want a coke can simply pass and get along with their business without waiting in line. Managed vs. Unmanaged Switches - If you’re in the market looking for the best Ethernet switch, you might have also noted there are managed and unmanaged devices. Which one is right for you pretty much depends on the type of network you’re creating. Unmanaged switches are ideal for home users and anyone else with limited tech and IT knowledge. This type of switch is nothing but a simple hub in which you can plug in your devices. Once they are all connected, just put the switch somewhere and forget it exists. You won’t have to make any updates nor provide other types of input, while the switch will just do its job smoothly and quietly. Tech experts tend to prefer managed switches. These devices can do everything an unmanaged device can, but they also allow you to log into a web-based user interface or app to adjust some settings or update the firmware. Some of the things you can manage are the QoS rules, VLANs, or you can set up bandwidth limits. However, keep in mind that managed switches cost more than unmanaged ones. Setting up your parameters could also be tricky if you’re not an expert. Furthermore, some managed switches tend to reset to factory configuration every now and then, so you’ll have to keep reconfiguring your device each time this happens. In broad terms, we can talk about two types of Ethernet switches, modular and fixed. Modular switches– give you all the expansion capabilities you need and are great for those looking to build a professional network. You can add more modules as your network grows without having to buy a new switch. This type of devices provide utmost flexibility but have exaggerated costs. Yes, the costs are justified by their complexity, but if you’re not planning to connect an entire neighborhood to your home network, a fixed switch could be a better starting point. Fixed switches – are not expandable, and almost all models designed for home or small business use stand in this category. Digging further into the matter, we can break down this category into unmanaged, partially managed, and managed switches. Unmanaged switches: Are the most commonly used in home and small business networks. They are less expensive, but they can’t be modified or managed. However, most homeowners praise their simplicity. Plug them in, connect your devices, and forget they exist. Partially managed switches: Also known as smart switches, come with some bells and whistles, such as basic management features and the ability to create some levels of security for your network. However, the management interface is much simpler than a managed switch interface. Nevertheless, most smart switches will let you set up QoS and VLANs. Managed switches: Provide the highest level of security and give you full management over your network. They give you all the bells and whistles, and you can set up and configure virtually any part of your network. It’s easy to understand this option is also the costlier. They are ideal for organizations and also for growing networks. Besides the types above, we can also categorize switches based on their Power over Ethernet abilities or based on their standalone or stackable design. PoE switches – allow you to power devices such as a wireless access point or IP phone and transmit data to the device via the same cable. They offer great flexibility for a larger network and are especially handy in places where it’s difficult to reach a power outlet. Stackable switches – allow you to connect multiple switches and configure them as a single entity, whereas standalone switches have to be configured separately, one by one, and handled individually. Standalone models are perfect for home use and also preferred by small businesses. If your network is growing rapidly though, a stackable switch could be a better option. Q: What is an Ethernet switch? A: An Ethernet switch is a device used to build a network connection between computers or other “smart” devices. 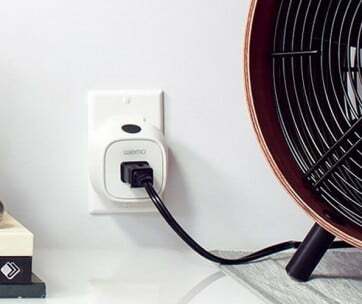 In a home or office, it functions as a central station or hub that connects PCs, gaming consoles, printers, and even home entertainment centers to each other through a wired network. Q: What does unmanaged Ethernet switch mean? A: Unmanaged switches are simple devices that boast a Plug and Play architecture. They require no configuration at all, and all you have to do is plug them in, connect your devices, and wait for the switch to work without any other intervention from your side. Most unmanaged switches come with default QoS settings and don’t excel in terms of security, but are rather inexpensive and ideal for home users and small businesses. Q: Does Ethernet Switch reduce speed? A: No. An Ethernet switch doesn’t reduce speed, and it will most likely improve the overall performance of your network. Hardwiring your devices into a switch can reduce interference and signal loss, two of the main issues of Wi-Fi connections. Although you’ll be using the same speed, the overall performance of your network will likely improve. Q: What is the difference between an Ethernet hub and switch? A: Both Ethernet hubs and switches are networking devices designed to connect multiple computers to a network. Typically though, a switch is used to connect the various network segments, such as PCs, gaming consoles, etc., whereas hubs are usually used to connect multiple Ethernet devices together and make them act as a single segment. Due to this difference, switches are capable of performing better than a hub, by selectively forwarding data to the network segments that actually need it. A switch is a better option for home networks, especially if you use applications that generate high amounts of traffic, such as heavy audio file sharing or playing multiplayer games. With this in mind, all you have to do is choose the best Ethernet switch for your home network.